Chagatai Khan: Malik Riaz & Journalists. Job of any Newspaper and News Channel is to provide news not to recite Islamic Studies and Pakistan Studies and GEO TV/ Jang Group /The News all are basically lecturing Pakistan Ad nauseam, one wonders what kind of advice is being given by Mr. Najam Sethi and Ms Maleeha Lodhi who are said to be the advisers of Mir Shakil ur Rehman and Co. ? Since when Newspapers in a Third World country have advisers and since when owners of GEO TV/Jang Group become Ted Turner or Rupert Murdoch. 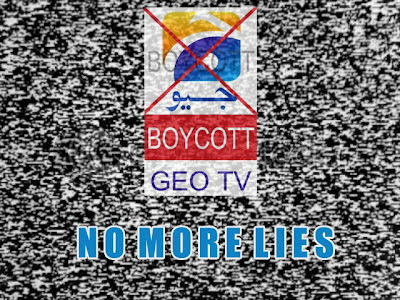 Lest I miss, this is strictly for Mr. Najam Sethi, why GEO TV several programs even the satire program attacking everyone's Loyalty with the country in the garb of satire? what Right do they have and above all what kind of joke and satire is this? GEO TV should stop paving the way for Fascism or those who call themselves Liberal should dissociate themselves from GEO or stop calling themselves Liberal because GEO TV is the worst nightmare for any genuine Liberal or Secular (Hamid Mir openly abuse Liberals and Secualr as if Jang Group is Daarul Iftaa) and please wait for Dawn News where Androgynous Syed Talat Hussain is trying his best to transform that channel into Muridke. Why our so-called Liberal Class raise voice against Mullahs? Mullahs conduct is open for everyone. But can anybody predict about the Butchers and Murderers sitting in Jang Group, The News and GEO TV, who conveniently used GEO TV Forum for the brutal murder of Salman Taseer, Shahbaz Bhatti and shamelessly exploited the Memogate from GEO TV and then same Jang Group and GEO TV talks about rationality and conduct shameless shows of Indo-Pak friendship and what not so either Mr. Najam and Ms Jugnu or other such Liberal persons stop appearing on GEO TV or clearly define the policy. I wonder for what Mr. Najam and Ms Maleeha Lodhi have been appointed by the owners? to hoodwink the world or Pakistanis because on one hand the Group editor of The News i.e. Shaheen Sehbai who on record had attacked Mr. Najam and Ms Lodhi. So who is to be believed Najam Sethi, Maleeha Lodhi, Owners Hamid Mir, or that tout Kamran Khan or as Humma Ahmed (Former Foreign National Editor of The News) who called Shaheen Sehbai a Mad Dog "why Mir appointed Shaheen again when Mir himself had declared that Shaheen Loyalty with Pakistan is doubtful" - I wonder what are thoughts of Mr. Najam on this? 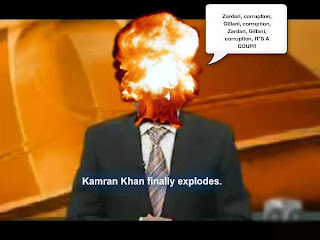 Third Class Journalists in Jang Group/ The News International/ GEO TV conveniently forget that during 1999 when Saifur Rehman was unleashed on Jang Group/The News http://chagataikhan.blogspot.com/2009/11/conspiracy-kamran-khan-farooq-laghari.html then these very Journalists e.g. Kamran Khan, Imran Aslam (fraud of highest degree), Talat Hussain, Maleeha Lodhi and even the Editor In Chief Mir Shakil ur Rehman (better call him Real Estate Tycoon) appeared in Karachi Press Club "recited Noha and Marsiya" on Press Freedom and what not and the same Jang Group/GEO TV Kamran Khan "shamelessly" invited the same Saifur Rehman on GEO TV in 2009 for Tabbarra Bazi on Asif Ali Zardari and same Jang Group conveniently forgot the "Torture" Mr Najam received at the hands of Saifur Rehman. The so-called Civil Society who call itself Liberal and Secular is even worse than Mullahs, how can they forget all these events of 1999 http://chagataikhan.blogspot.com/2010/11/saeed-mehdi-exposes-kamran-khan-jang.html which are very well recorded by Pakistan Press Foundation. Jang Group, The News International and GEO TV are biggest curse on Pakistan and playing the same Ugly role which was played by Nawae Waqt during Fall of Dhaka - I wonder why Mr. Najam is stil working in this Fascist group. 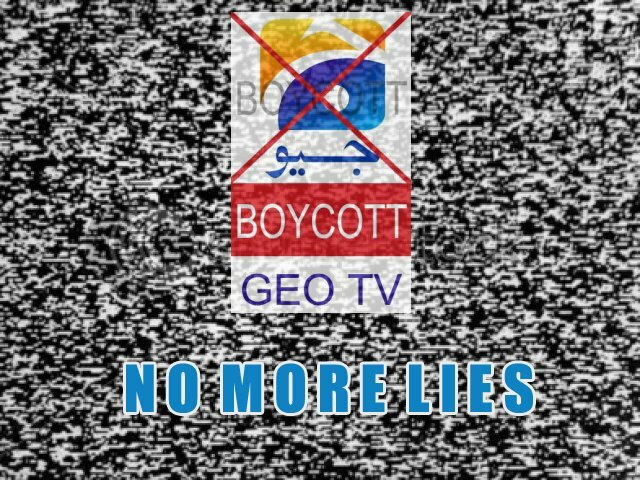 Enough of this Drama daily from 1900 to 0000 by GEO TV anchors crying over alleged Beloved country but Editorial of Jang Group and The News act like Third Reich, Ansar Abbasi, Hamid Mir, and other demented Mohammad Malick act like as if they are the sole proprietors of Pakistan ideology therefore either Mr. Najam should dissociate him from Jang Group or advice Jang Group to stop riding two boats at the same time i.e. Liberal Secular and Islamists. Journalists like Ansar Abbasi, Kamran Khan, Mohammad Malick, Ahmed Noorani, Shaheen Sehbai etc are encroaching liberty in the name of Perverted Ideology which is simply GEO Fascism Mr. Najam is working with Jang Group of Newspapers i.e. GEO TV and also contribute for The News and Jang so Mr. Najam should clearly tell Mir Shakil ur Rehman and his Mini Me Mir Ibrahim to stop playing politics with Pakistan because on one hand GEO TV/Jang Group hires Secular Liberal like Mr. Najam and on other hand this Mir Mafia run the comedy of Aman Ki Asha and unleashed Hounds like Ansar Abbasi, Kamran Khan and Raving Lunatic Hamid Mir (who miss no chance to attack minorities) this drama should be stopped in Jang Group or if it is not stopped then it means that Mr. Najam is in too. Let me give you glimpse of a News group which is known by its Blackmailing, Worst kind of Yellow Journalism, Paid Touts, Wiretapping, Media Trial, Hate Speech, Religious Bigotry and Rumor Mongering. ISLAMABAD, Jan 10 In an unusual move, the police have registered two separate cases regarding the gun-battle fought by the armed guards of two real estate tycoons on Friday, right in front of the offices of the city`s top civil and police administrators. Usually police register just one FIR about an incident. Any additional information provided by the complainant – and even a counter-version filed by the rival party – are just attached to the original FIR. But in this case the Margalla police treated the complaints filed by the security guards of Malik Riaz of Bahria Town-fame about the same incident as two separate FIRs. Police sources said that security guard Tasawur Iqbal of Malik Riaz first lodged FIR 19 accusing rival tycoon Malik Tabarak Bari and his 13 alleged accomplices of unleashing unprovoked firing on his party. FIR 20 lodged by his colleague Mohammad Iqbal later alleged that Malik Bari`s men accosted the rival party and opened fire that injured Malik Riaz`s security guard Zafar and a passerby. The accused fled after “terrorizing” the people, according to the FIR. 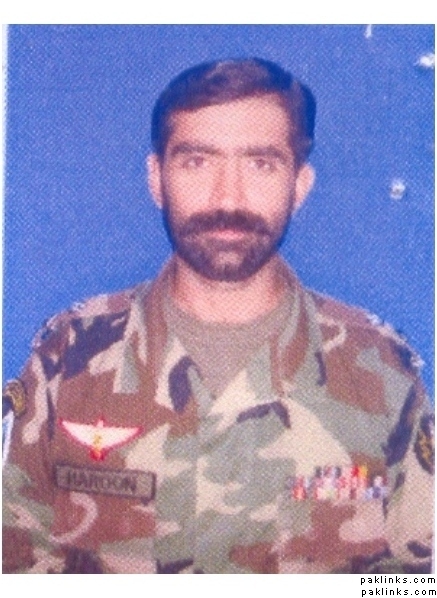 The case registered by the Margalla police on the basis of FIR 19 cited PPCs 148 (rioting with deadly weapon), 149 (every member of unlawful assembly guilty of offence committed in prosecution of common object), 324 (attempt to commit murder), 353 (assault or criminal force to deter public servant from discharge of his duty) and 7-ATA (Anti-Terrorism Act). The one registered on the basis of FIR 20 cited the same charges but replaced PPC 353 with PPC 427 (mischief causing damage amounting to Rs50). Both the FIRs nominated Malik Tabarak Bari, Malik Ishrat, Ashar, Ghazanfar, Isthiaq and Naeem along with six to seven unidentified persons as accused. According to the sources, the FIRs were registered after long deliberations among some senior rank police officers at the residence of one of them in F-8/1. A “big shot” and some influential persons also sat in the deliberations, the sources said but did not name them. Police officers have remained inaccessible to the media to comment on the highly embarrassing incident and the one who was available chose to remain silent. “Why are you trying to cost us our jobs,” he said when asked for some insight. ISLAMABAD, Nov 1: A small contingent of the paramilitary Frontier Constabulary (FC) has taken up guard duties in Bahria Town, allegedly to protect the property tycoon Malik Riaz Hussain who is facing land fraud charges in a Rawalpindi court. Police sources told Dawn that it was unusual to deploy a paramilitary force to protect a private person, that too at the cost of the FC`s more pressing task of providing security to VVIPs and sensitive places. They said the Islamabad police and the Ministry of Interior had to make extraordinary efforts to secure their services for Malik Riaz who feels hunted by people with political clout in the hugely profitable but murky business of property development.Beset with litigations on several fronts, the Bahria Town tycoon used to move in a convoy with personal bodyguards. Islamabad police were already trying to call FC to his protection when the arrest warrant issued by the Anti-Corruption Court in Rawalpindi for him last week made the tycoon feel more vulnerable. According to police source, SP Rural Zone visited the FC Headquarters in Islamabad on October 15, on the initiative of the Central Police Office and the Interior Ministry, to seek a platoon for his protection but was told that none could be spared. 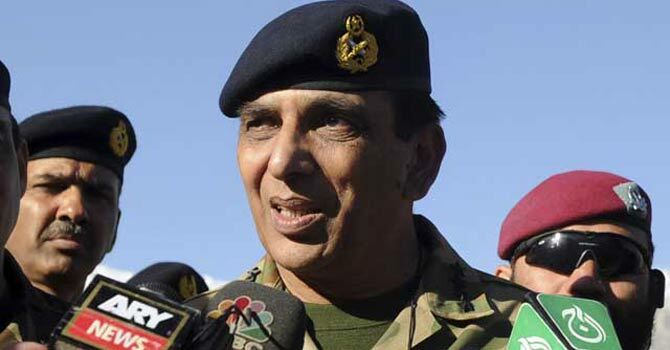 But the top police and interior ministry officials persuaded the FC command to withdraw one of its two platoons guarding the Army Aviation Heliport in the sports complex grounds and redeploy it in Bahria Town. Next day DSP Rural Ahmed Iqbal appeared at the gate of the heliport with police trucks to pick up the platoon but the army officer incharge rejected the idea. He informed his superiors who took up the matter with the prime minister`s secretariat and the transfer of FC personnel to police was abandoned. ISLAMABAD, April 23: District and sessions judge of Islamabad “east” Syed Kausar Abbas Zaidi on Monday directed the Bhara Kahu SHO to register FIR against property tycoon Malik Riaz Hussain and his son in land grabbing case. The judge passed the orders while deciding two identical petitions filed by Islamabad based lawyers against the alleged grabbing of their land measuring 300 kanals by the employees of Malik Riaz. The police in its written reply submitted in the court defended the property tycoon and stated that at the time of the incident when alleged land grabbing and firing took place, neither he nor his son Ali Riaz were present at the spot. The petitioners were also not present at the said location, the reply added. However, after receiving the complaint, the police stated, they reached the spot and arrested some armed men. Expressing dissatisfaction over the police reply, the judge directed them to register FIR within 24 hours. The court order said the police was bound to register the case upon receipt of the complaint and initiate investigation into the matter, and their reluctance in registering the FIR was illegal and unlawful. Raja Haroon, in the petition filed on Saturday, stated that some employees of Bahria Town, at the behest of Malik Riaz, came to the land of his family and other relatives and opened fire on them and warned them to leave the place otherwise be ready to face the consequences. Bahria Town drag race - ISLAMABAD: Supreme Court on Monday directed Punjab police and Federal Investigation Agency (FIA) to take action against the sponsors of illegal drag race and observed that police officers were trying to save skins of influential persons by making the weak scapegoats. 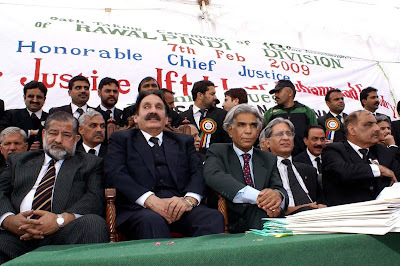 A three-member bench comprising Chief Justice Iftikhar Muhammad Chaudhry, Justice Muhammad Sair Ali and Justice Ghulam Rabbani was hearing the suo moto case against the holding of illegal car race that held at Bahria Town, Rawalpindi claimed lives of five persons on December 5, 2010. The court directed the FIA to arrest and bring back Atif Sheikh, the main organiser of the drag race and an absconding accused, through Interpol. The court rejected a patch up between the victims’ families and the accused, terming it dissatisfactory. “If any such compromise has been undertaken, it should be in clear terms and under the ambit of law,” the court noted. The court directed Hamid Khan, counsel for Ali Riaz, son of Bahria Town’s chief executive Malik Riaz Hussain, to produce a clear agreement of compromise. Advocate General Punjab Khawaja Haris told the court that Sheikh had presented a fake medical certificate for getting bail and left to Abu Dhabi from Peshawar. He said an application had been moved for cancellation of his passport and efforts were on to trace and bring him back to the country.To a court query, Haris informed that there were 30 sponsors of the drag race. To another query of court that why action had not been taken against the sponsors and whether there were some hurdles in the way of action due to involvement of influential people in the case, the police investigation officer Rana Mubashir said there was no such hurdle and action was being taken. The chief justice (CJ) however, observed that it seemed as if police officers were trying to save the skins of influential persons by making the weak scapegoats. ISLAMABAD, Jan 28: A visibly disturbed Supreme Court bench on Friday questioned the probe`s direction in the Bahria car racing case, deciding to summon Syed Kaleem Imam, former IGP Islamabad, for trying to influence the inquiry but only after a written statement of the investigating officer. 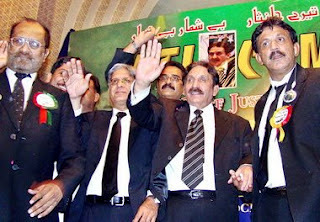 “Investigating officer Maj (retd) Mubashirullah has been asked to give in writing his statement, thereafter the court will issue notice to the former IG to explain why he was making attempts to influence the investigation,” ordered the three-member bench comprising Chief Justice Iftikhar Mohammad Chaudhry, Justice Ghulam Rabbani and Justice Khalilur Rehman Ramday. After the investigating officer told the court that the capital`s former IGP had called him to entertain “some affidavits” (compromise statements) from the Bahria Town, Justice Ramday observed: “This country could not be saved until we start resisting pressure from pygmies. We will call the IG and put him behind the bars.” Five people died on December 5 last year when one of the cars in a drag race in Bahria Town`s Phase VIII lost control and hit spectators. Presented by counsel Hamid Khan and Zulfikar Naqvi, the bench did not approve the affidavit of Tahira Qaiser, a mother of one of the deceased, saying she was not interested in prosecuting the accused. The court said the affidavit should have come from the deceased`s wife. The SC bench was shocked to learn that the affidavit was placed before the trial court when the bail of Ali Riaz, son of real estate tycoon Malik Riaz, was being sought. The stage of presenting affidavit only comes during the trial. Justice Ramday asked Hamid Khan, a renowned lawyer and author of books on constitution, if he was developing a new jurisprudence by “advancing pleadings” on behalf of a fugitive. “We will not even look upon such affidavit,” Justice Ramday said. ISLAMABAD: Declaring all cases against him “false and concocted”, a three-member Supreme Court (SC) bench on Tuesday ordered the release of Malik Tabarik Hussain – the man held by police for the murder of Bahria Town security guard Faiz Ahmad – against a surety bond of Rs 500,000. The SC had ordered the arrest of Bahria Town Chairman Malik Riaz Hussain for Faiz’s murder on Monday, while conducting suo moto hearing on an appeal that appeared in newspapers. Tabarik was arrested by Karachi police from Islamabad and the court observed that law enforcement officials had not fulfilled the necessary legal requirements before arresting Hussain. The bench, consisting of Chief Justice Iftikhar Muhammad Chaudhry, Justice Jawwad S Khawaja and Justice Ghulam Rabbani, however, directed Kohsar police to hold Hussain until he furnished the surety bond. Tabarik was brought to court by Karachi SSP (Investigation) Niaz Khoso and Sohrab Goth Investigation Officer Aneel Khushk. Aneel informed the bench that Tabarik was charged under sections 324, 427 and 34 of the Pakistan Penal Code in an FIR registered at Sohrab Goth police station on October 16, 2009. The court, after examining the case records, maintained that the FIR was false and the entire case “concocted and designed”. Air tickets: During the course of the hearing, it was also revealed that the complainant in these cases, Zaheer Ahmed, had provided air tickets to the police party that arrested and moved Tabarik to Karachi. It was also revealed that when police raided Tabarik’s house in Islamabad’s Sector E-7, they were accompanied by dozens of Frontier Constabulary personnel, and after the arrest, Tabarik was detained at FC offices for some time before being moved to Karachi. Tabarik told the court that his 14-year-old son was beaten up by police when he was arrested, and also accused the Investigation Officer Aneel Khushk of taking a Rolex wristwatch from him. The bench was, however, surprised to learn that another case was registered against Tabarik under sections 337, 148 and 149 of the PPC in Karachi in 2003, and that he had been declared an absconder. At this, Justice Jawwad Khawaja noted that Tabarik had contested the February 2008 general elections as an independent candidate from NA-49 Islamabad and secured over 10,000 votes. He asked the police officials why Tabarik was not arrested earlier if he had been declared an absconder. Justice Khawaja also asked police representatives, as well as Sindh Additional Prosecutor General Saleem Akhtar, to explain why they had not intervened during the scrutiny of Tabarik’s nomination papers. Sardar Asmatullah Khan, counsel for Tabarik’s wife Anjum Riaz, told the court that Bahria Town chairman Malik Riaz Hussain was behind the “false cases” registered against his client’s husband. Asmatullah said Tabarik planned to bring several people – who had been victimised by the Bahria Town chairman – to the Supreme Court on October 26. However, Malik Riaz, using his influence, had Tabarik booked and imprisoned. 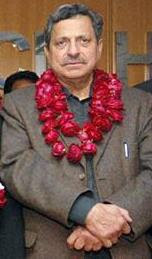 He alleged that Malik Riaz had illegally acquired thousands of kanals of land from the poor in the areas of Rawat and Sihala at throwaway prices, adding that Riaz had got registered false criminal cases registered against hundreds of such individuals at the Rawat, Sihala, Sadar Bairooni and Civil Lines police stations, just to get his hands on their land. I wonder why you do not write for LUBP any more. Because they have turned their blog into another Tabloid and another reason to quit contributing for LUBP because one of the Moderator insulted me.